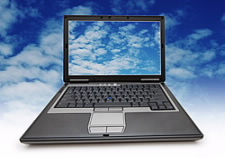 File Sharing: In the Cloud or In-house? Preparing for a vacation or business trip can be fun, but also time-consuming if files are created on one device (such as a desktop computer), but needed on another device such as a laptop or smartphone that will go along on the trip. There are many file sharing services out there. Some of the most popular are DropBox, Microsoft Skydrive, Google Drive, and iCloud (for both Mac and PC though it’s built into new iOS devices). These services range from free hosting (up to a certain storage limit) to large storage solutions. They may include client software to install on your computer that will help synchronize the data with all your devices, and make it easy to access data on the go using mobile apps. This is a great alternative to “transporting” all data manually using a USB drive or emailing it to yourself. However, this also means that you are trusting an external company with your data. I like these options for when I’m traveling and can get at information easily and quickly from any device, but I do worry about someone hacking into my information. When I work with clients, file hosting services may be unacceptable due to security and confidentiality issues, such as keeping customer contact information, reports and other intellectual capital private. I find too many organizations “solve” the problem by using a shared network — basically a disk drive that everyone can access. There may be some security configuration, but there will not be much functionality in the way of searching or findability. Additional issues arise with version control, check-in/check-out of assets and much more; assets cannot be found, the wrong version is used and there is little, if any, permissions control. That is when clients call in Information Edge to help them make the most of their strategic knowledge assets.